The Best Books Ever: Destined For Doon Tour + Giveaway! Destined For Doon Tour + Giveaway! Oh man, this book was so good! I am sure everyone knows how much I loved Doon. It was on almost every list I had for 2013. I loved it so much- and Destined for Doon does NOT disappoint! It is full of action and excitement. The second story centered around Duncan and Kenna who were left seperate from each other at the end of the first book. Duncan is still one of my favorite characters in this series. I love how sweet and kind he is and isn't the broody guy who treats everyone badly. Kenna is... well... making bad choices throughout most of the book. She is confused about what she wants and is so certain of what she thinks she wants that she doesn't leave room for life. If you haven't read this series- seriously, it needs to happen. I am so excited by this series- it has everything I want in a book: drama, action, and romance. First of all, I would love to know, what is it like working with a writing partner? Does it make anything easier? Harder? Lorie: As you can imagine, one of the challenges of co-authoring is not having complete creative control, but this can also be an advantage because you have two brains instead of one! Carey and I, much like our characters, are opposite in a way that makes for a perfect balance. As writers, we each bring different technical strengths to the table. Who originally had the idea for a story to take place in a world created originally by Brigadoon? Was this always planned to be a series or was it originally a stand alone? Carey: When Lorie and I first wrote Doon, we just wrote the one book. In the first draft, Kenna’s story wrapped up in an epilogue. When our good friend Meredith read that early draft, she lobbied for Kenna and Duncan to get a whole book. Shortly, after we started thinking of what Doon would look like as a series and it sold to BLINK/HarperCollins as a 4 book story. Kenna and Veronica seem like opposites attract- are they based on a real life friendship? 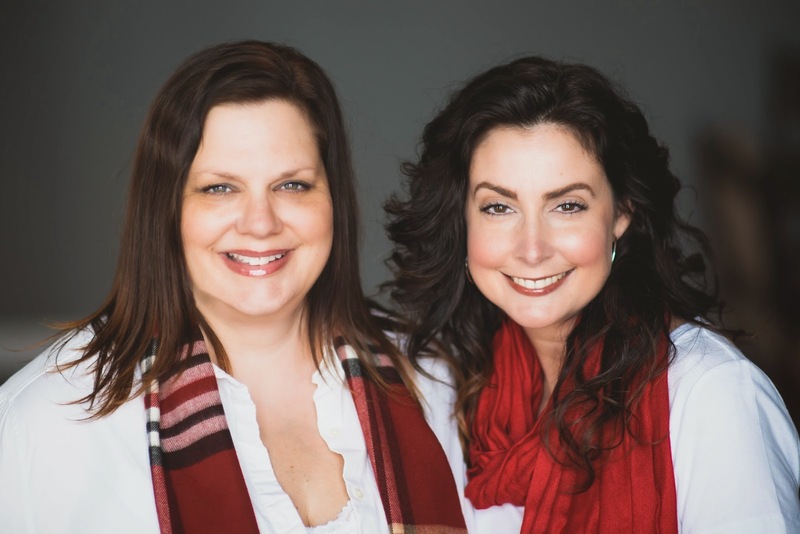 Lorie: Not exactly…but we did set out to write a story of two girls who are very different on the surface but have an unshakeable bond—much like ourselves. Lorie: This is a very personal one, so we’ll both answer…I love both of the MacCrae brothers. Just like Veronica and Mackenna, Jamie and Duncan are quite opposite, but for me it will always be my tortured, yet noble Prince Jamie. Carey: Fergus. JK – I do like Jamie, but I’m a Duncan girl all the way! Alright I have to ask- can you give my readers a little teaser... just something little to entice them into this series? Carey: If you haven’t read the first book, there’s a little something for everyone: history, angst, humor, BFFs, lattes, nerds, drama divas, fantasy, introverts, extroverts, evil cheerleaders, bad boys, good guys, romance, bromance, womance, fairytale, girl power, saving the world in pretty dresses, witches, zombies, and coming soon … a bit with a dog. Doon: A story of best friends, girl-power, and Scottish princes in kilts. Destined for Doon: The continuing story of best friends, girl-power, and Scottish princes in kilts. Lorie Langdon: Lorie Langdon has wanted to write her own novels since she was a wee girl reading every Judy Blume book she could get her hands on. So a few years ago, she left her thriving corporate career to satisfy the voices in her head. Now as a full-time author and stay-at-home mom, she spends her summers editing poolside while dodging automatic water-gun fire, and the rest of the year tucked into her cozy office, Havanese puppy by her side, working to translate her effusive imagination into the written word and continue to build the young-adult-focused blog, HonestlyYA. 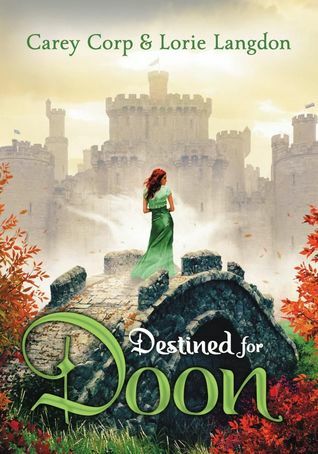 I am so excited to read Destined for Doon - loved Doon! The tour sounds great and the interview was fun to read! Thank you! I had not heard of this series before I came across this post, and now I HAVE TO READ THIS SERIES! It sounds fantastic! Can't wait to read this soon! Thanks again for an awesome giveaway! So excited for book 2! I loved Doon <3 can't wait to get my hands on destined for Doon! I can't wait for DfD! Doon was and still is amazing! this wait is killing me!!!! Oh gosh, I'm itching to read this so very soon! soooo close now!!!! i want to start reading this book so bad!! !